Join us at the 2019 Lake Home and Cabin Show! 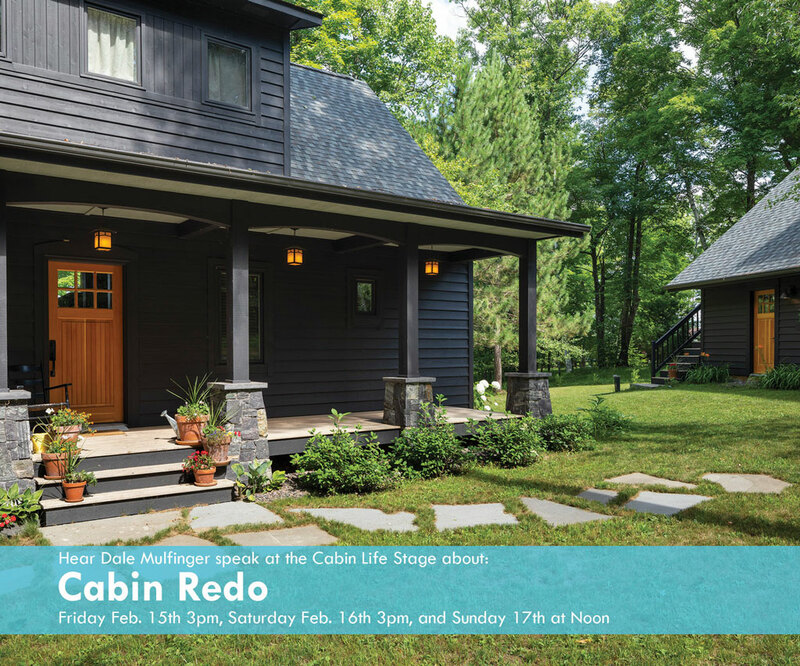 Dale Mulfinger will be talking about the cabin renovations, transformations, additions and more on Friday the 15that 3pm, Saturday the 16that 3:00pm and Sunday the 17that noon. Dale will also be signing and selling books, THE FAMILY CABIN, CABINOLOGY, THE CABIN and BACK TO THE CABIN near the stage before and after his talks. Drop by the SALA booth #708 at the Minneapolis Convention Center to explore our project boards, models and to ask all things cabin with our professional architects. Tell us about your site, dreams and, who knows, we just might get out our sketchbook. We look forward to seeing you there!